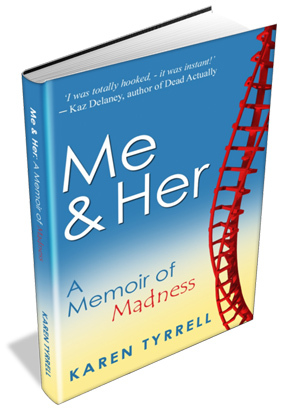 Me and Her: A Memoir Of Madness offers an engaging insight into mental illness … HOW and WHY did I develop mental illness? How did I recover and reclaim my life? I share my guide to recovery and my wellness strategies. Check out my Latest *5 STAR* Reviews on Goodreads … Click here. Me and Her ranks as a bestseller on Amazon with Fourteen *5 STAR* reviews. Read #20 fast-paced pages for FREE … Click HERE … What did you think? 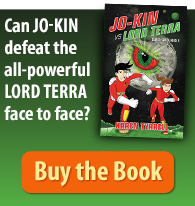 HOW do you WIN one of #10 *FREE* e-book Giveaways? Best #10 answers WIN. Winners announced here on my website on the 1st July. Good luck. Please SHARE this link & Book Giveaway with your friends! I plan on reading your book anyway; especially to review it. BUt from a personal point of view I’d like to read about your journey. I am seeking inspiration as my own journey has stalled. I do not have bipolar but I do have sever depression and some days it just seems to be all about the negative. 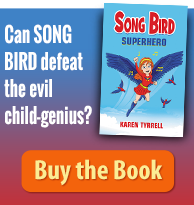 Wonderfully brave of you Karen not only to write the book and share your inspiring story with others but also to publish and market it yourself. I wish your book good luck on its journey into the world. Bravo. 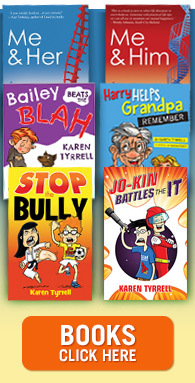 First, congratulations on the success of your book, Karen! We need more people willing and courageous enough to tell their stories! Mental Health is important because it’s still(!!!) shrouded in mystery and fear, and dumped on with ignorance. Governments show scant respect for mental health issues, despite the fact that improving the nation’s/world’s mental health unquestionably benefits the whole planet. We need to keep talking, keep writing, until the days come when people don’t have to have plaster on their limbs to be recognised as unwell and in need! I think mental health is important because it effects everyone in some way or another & even though it is more out in the open these days, there is still a stigma attached. People need to know that it is a ‘normal’ part of life but is so underfunded. Mental health is a continuim..Like our physical health, we have ‘good’ days and we have ‘bad’ days….But the difference is….There are no stigma around physical health! As a mental health clinician, I look forward to referring my MH clients to read your story of recovery. Hi Alistair, Thanks for sharing your world perspective on the importance of mental health. I “came out” three years ago with my recovery story and my confidence and sense of HOPE is increasing by the day. Thanks Kathleen, for sharing your wisdom here. YES, the stigma is still there. I’m hoping MORE people will come forward with their recovery stories. 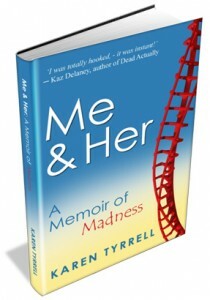 This book will let the reader experience the many highs and lows that bi-polar sufferers endure day after day……It’s a must have for current and past sufferers to refer to and help them overcome their roller-coaster ride! I would love to read a hard copy of Me & Her because I have found Karen’s journey not only inspiring and courageous but its also given me a better sense of what bipolar sufferer’s go through. You are now a strong person who feels it, understands it and accepts it and gives hope to so many which is a wonderful gift to all of us. I wish you continued success in all your future endeavours and I can’t wait to read your next book. Thanks for the invitation to put in to win a copy of your book. Many years ago when I was going through a rough patch, someone gave me a copy of Kay Redfield Jamison’s “Unquiet Mind”. That book held so much more information than was actually written because it was written by a sufferer with the view to not only help sufferers but educate others on what it is like to live with a mental illness. I now work in the medical field and I know that the best people to help others and to educate the public about mental illness are those who have gone before, such as extraordinary people as yourself. Mental health is so important because not often do people realise or understand the nebulousness of their own mind and feelings until there is mental ‘ill-health’. Stories like yours have the capacity to change this, to help protect against mental illness and to change the lives of us that suffer. I really look forward to reading this book and sharing it with my friends, family, colleagues and patients. Mental Health is such a misunderstood condition that people tend to shy away from and don’t like to discuss it, However with all the information that is coming through about it (like your book and others) and the advertisements on TV is is no longer seen as a TABOO subject. It is an important TOPIC as everyone somewhere knows someone who has or will suffer from Mental Health and as a society we need to approach it with dignity, empathy and compassion. Only then can we chip away at the sometimes horrid stigma that goes hand in hand with Mental Health. Hi Cara, Thanks so much for sharing your personal experience with reading “The Unquiet Mind”. Thanks Vicki, for sharing your positive perspective on approaching mental illness with “dignity, empathy and compassion”. Hi Karen, well how can we function in this stressful world with less than perfect mental health? Some of us do but it’s a constant struggle. Some of us lose the struggle, temporarily… some lose it for ever. We not only battle our inner demons but also the wider community’s lack of empathy with what we are dealing with. Even with mild depression, I’m frequently told to “get over it”. Well if it was that easy, wouldn’t I do it? Why would I choose to feel like this? I’m constantly inspired by people who are prepared to speak openly about what goes on inside their heads. That is the only path that leads the “non-sufferers” to any kind of understanding. I am officially entered. Thanks for the invite. Thanks RB for checking out my website and leaving a comment to register in the Giveaway! Mental Health is extremely important in all areas of our life. We will all be affected whether directly or indirectly and more needs to be done to erase the ‘stigma’. Hi, I found you on planbig.com.au and thought I’d come by and have a look. Mental health can be hard for people to understand because they cannot see ‘it’ so the more people hear about (mental health) the more understanding they will have. Less than 100 pages to go Karen. Will be very honored to have had the privilege of writting the review. So proud of you! Mental Health, or rather the management and understanding of, is important. the numbers of cases are growing daily with inadequate facilities and treatment options to cater for these people. My family is personally engaged in the effects and management of two members requireing daily assistance, compassion and guidance in life under their new vision. Learning curve for all. There needs to be better understanding, focused care and attention and comprehension of mental health. Thanks Sharon, for your very thoughtful comments on mental health. You are an inspiration Karen, Wishing you every success with your new novel. You deserve it!!!! It’s simple. You don’t have mental health, you don’t live a productive, fulfilling, enjoyable life. Not only is it miserable to the individual but it’s something that affects the people we love around us. It’s like your own mind is a prison you’re living in. I have had issues with severe depression in the past and it is something I do not wish on anyone. Our mental well being dictates the quality of our lives. There has to be more awarness of this illness (diffrent types of mental illnesses) and therefore better facilities and options to treating it. Awarness and education are also keys in discerning if and when someone we love or know exhibit the signs of this illness so we can intervene and provide support. If it wasn’t for God and the support of family and a close friend, I truely believe I wouldn’t be here today. Hi Samrawit, Thanks for sharing your personal story of recovery. The more stories shared, the less stigma will have its hold. 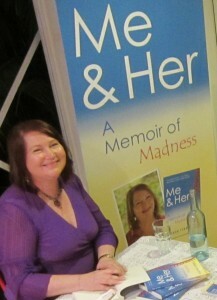 Hi Karen I would love to win a copy of your book I have heard so much about it and think it would help me as well. Congratulations Karen. I suffer from post traumatic stress disorder related to childhood sexual abuse and even though I thought I had recovered and have written a book that is ready to be published about my pesonal journey. I am going thru extreme anxiety and concerned about depression which was brought on by a break in and robbery that happened recently. Mental illness does have so much stigma and so little support especially on a day to day basis, when you feel like you are hanging on by a thread. I am thinking about starting a support group in my area. A place where people can share what works for them in medication natural or otherwise, find people that understand and do not judge them because of their illness, and especially a place where people recognise when someone is crying out for help and support.